Bula! 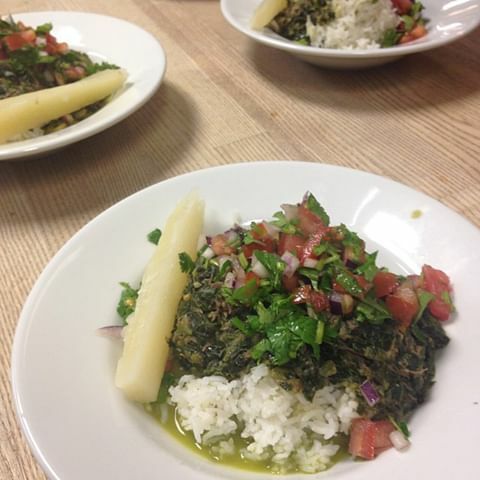 Flavors of the Fiji Islands will be showcased at our February’s Community Dinner by our friend, James Chand. James is the founder and executive chef of Curryous Catering, the 5-star premiere Fijian-Indian catering company in San Francisco, California. Some of you have enjoyed his recipes and stories at past classes and a Community Dinner. We're happy to welcome James back after a recent trip to Fiji. He will be serving a hearty Fijian lolo (coconut milk stew) accompanied with steamed tavioka (cassava). This comfort meal is shared in all Fijian homes both on the islands and abroad. Chef James will add his own twist with subtle Indian flavors keeping true to his Fijian-Indian roots.